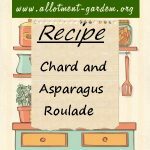 Recipe for Chard and Asparagus Roulade. Great as a light lunch for two or starter for 4. You can use spinach in place of the chard and different cheeses. 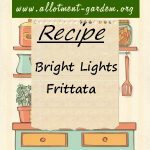 Recipe for Bright Lights Frittata. You can add also add courgettes, tomatoes, etc to the onions. The most colourful dish you could make. Serves 4.